Santa Clara, Calif. – September 19, 2018 – ioTium today announced that it has closed $13.6 million in Series B financing. This new round of investment brings the company’s total funding to $22 million and validates the strength of the company’s Software-Defined Converged Infrastructure solutions for IIoT, a vision actualized within industrial Fortune 500 deployments worldwide. The funding was led by continued investment from March Capital Partners. Honeywell Ventures, John Chambers’ JC2 Ventures and Hanna Ventures joined existing ioTium investors GE Ventures and Juniper Ventures in the round. Capital will be used to accelerate ongoing technology leadership and to fuel rapid market expansion in the U.S. and abroad. ioTium’s vision for Software-Defined Converged Infrastructure for IIoT has been validated by Fortune 500 customers in multiple vertical markets. ioTium solutions have been deployed by major industrial enterprises in building automation, energy and manufacturing environments, uniquely positioning the Company as a trusted partner for a spectrum of digital transformation initiatives. 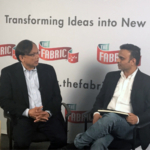 Many companies tried to tackle the problem with IT-specific approaches, but with the launch of groundbreaking ioTium OT-Net Networking-as-a-Service (NaaS) last year, Victor foretold the death of the command line interface in IIoT. ioTium solutions are built on the understanding that mission critical environments must have a zero-touch solution that can easily scale to hundreds or thousands of sites in some of the world’s most hard-to-reach locations. ioTium was recognized as a Cool Vendor in the April 2018 Gartner Cool Vendors in Edge Computing, 2018 report. The Company has seen record growth in the last year, doubling headcount and growing the customer roster, such as Rexnord in manufacturing, Kilroy Realty Corporation in commercial real estate and other industrial Fortune 500 companies in the energy and oil and gas sectors. 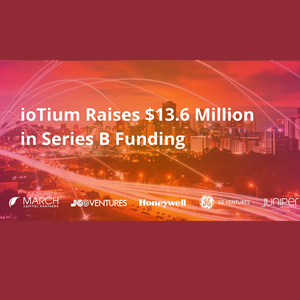 As ioTium expands its international presence, the new funding will be used to open offices on the East Coast of the United States, Canada, Europe and Australia. The company will also increase headcount at its Chicago and Houston locations. Geographies are specifically targeted to maximize ioTium’s presence in heavily industrialized areas. ioTium is the first commercially deployed Software-Defined Converged Infrastructure company for the IIoT. 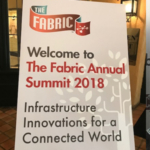 Headquartered in Silicon Valley and funded by GE Ventures, Honeywell Ventures, Juniper Ventures, JC2 Ventures, Hanna Ventures, March Capital Partners and the Fabric, ioTium is the company of choice for Fortune 500 organizations looking to enable secure, scalable IIoT deployment today. ioTium bridges the legacy brown-field world with the new cloud-enabled world. The company’s offerings have been deployed in leading building automation, energy, oil and gas, and manufacturing organizations. ioTium solutions include the groundbreaking ioTium OT-Net; ioTium OT-Access; and the ioTium OT-Edge converged infrastructure solution. The company’s solutions ensure that any machine, using any protocol, can be instantly, seamlessly and securely connected to any application residing in any cloud or data center through any network infrastructure and operator; while eliminating deployment complexity issues and minimizing network security risks. For more information, visit: http://www.iotium.io.